To provide inventive financial solutions for energy-saving and lifestyle-enriching home products. To be the most valued and respected national lender in our industry. Your partner for home improving products. We provide consumer financing for a wide variety of products through a network of independent contractors. Our finance plans are tailored to the type of products being financed, individual credit situations, and most important, affordable terms and payments. ISPC’s loans have allowed our customers to improve their lifestyles in many ways with quality products, sold and installed by independent contractors nationwide. The LeverEdge and ISPC began supporting the charity Homes For Our Troops (HFOT) in 2012. 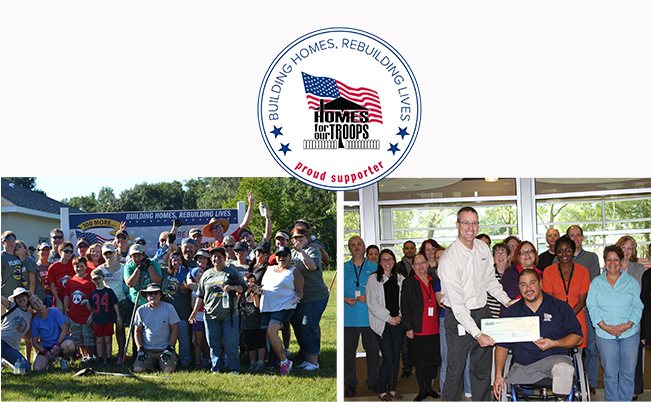 Some of our dealers have chosen to participate by volunteering to install and regularly service water purification systems in the specially adapted homes that wounded Service Members receive through this incredible organization. The LeverEdge donates the equipment for these projects. Many of our Merchants participate in a giving program by donating a fixed dollar amount to Homes For Our Troops on every new loan they open through ISPC. These small sums of money per transaction accross thousands of transactions has added up to a substantial sum of money. To date, ISPC and our Merchants have donated over $273,000 to this remarkable organization. We couldn’t be prouder of those that serve in our military and we are honored to be able to return something to those that have sacrifices so much!